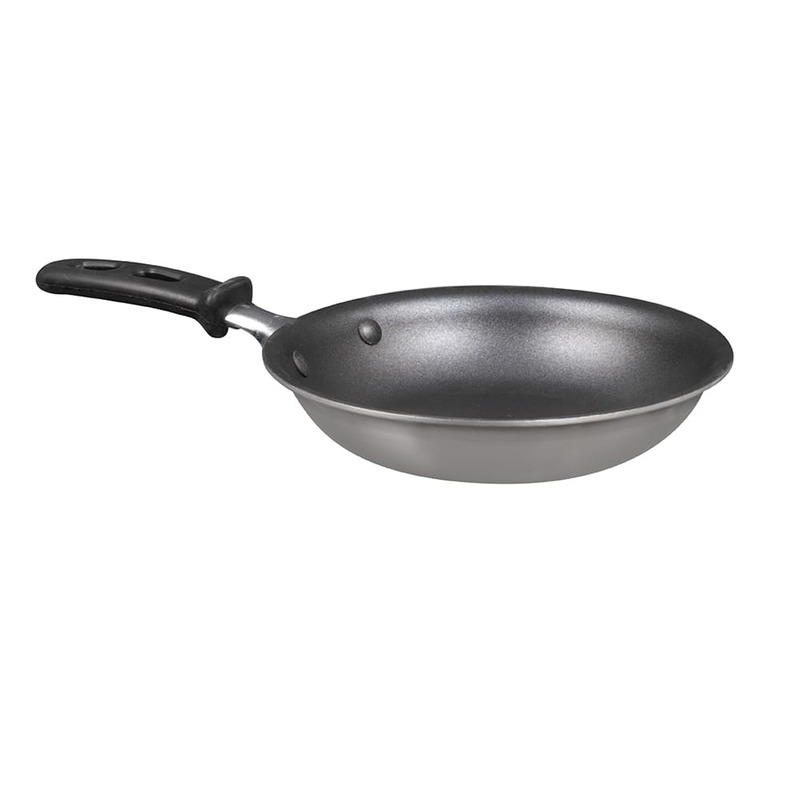 The Vollrath 69107 Tribute® frying pan has three layers, with aluminum in the middle, to provide an even heat pattern across the bottom and along the sides. Stainless steel on the interior and magnetic exterior prevent flavor transfer and enable use with induction, gas, and electric equipment. A non-stick coating on the interior adds strength and simplifies cleaning. To reduce the risk of burns, the TriVent® handle is insulated and made of silicone. The handle is secured to the Vollrath 69107 frying pan by EverTite rivets. We break down different types of materials for cookware in the cookware materials explainer article.